Rivalry is good: it motivates change and drives innovation. Singapore Airlines (SIA) knows this only too well, having set a new benchmark in luxury for commercial aviation when it launched its flagship A380 in 2007. That golden moment was all too brief though, as rivals began introducing ever more luxurious interiors for their superjumbos, all vying for the title of being the world’s most luxurious airline. 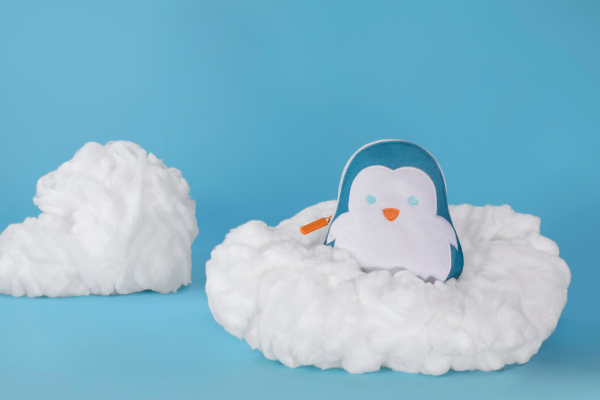 With the airline’s landmark first A380s leaving the fleet after a decade in service and five fresh models joining, now is a good time to introduce a new product and mount its latest claim to the crown. 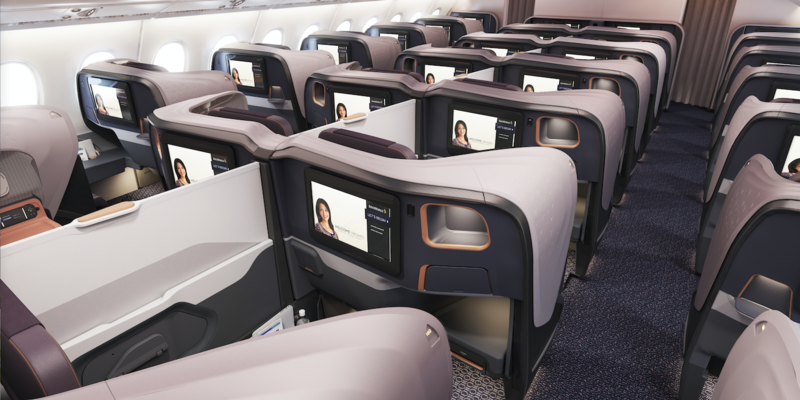 The halo product of the new US$850m interiors of the new A380s (and the 14 retrofits) is the first class cabin. 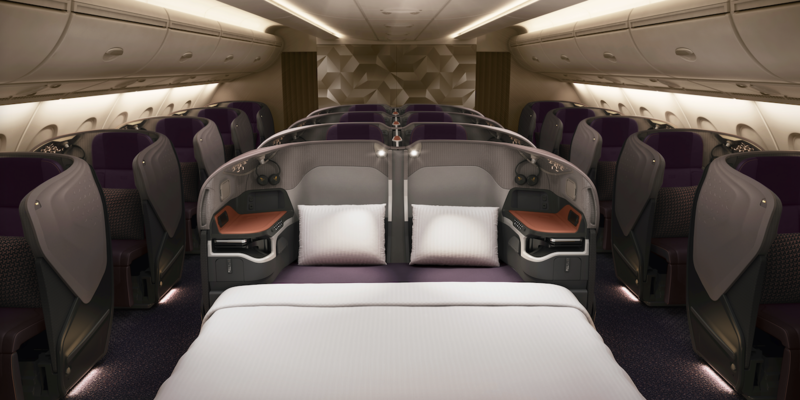 Its six suites with their beds and separate swivel chairs have been attracting international attention since the first aircraft was revealed in December 2017. However, an arguably more impressive level of innovation is to be found in the profit engine of the aircraft: the 78-seat business class. 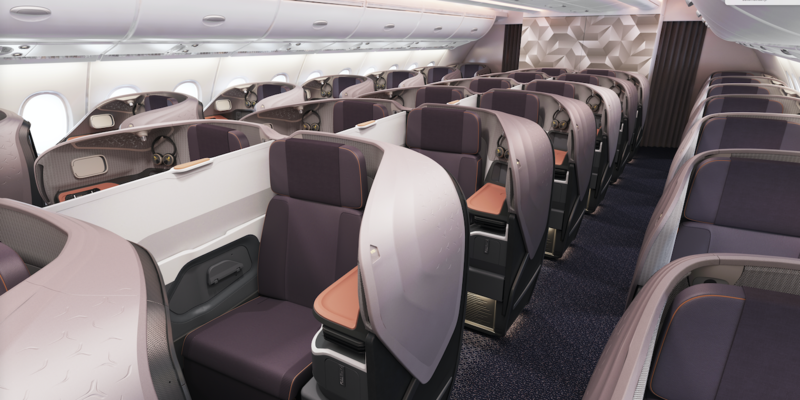 The designer of the new cabin, JPA Design, also created the business class seating for the airline’s first A380s, which launched a decade ago, and designed its Next Generation seat that launched in 2013 on the airline’s B777-300ERs and in 2016 on its A350s. However, when a new project comes up, the studio still has to go through a rigorous pitch process lasting several months, and win it on merit. The winning idea was a unique proposition for the seat structure that JPA has been working on internally for several years, which uses a monocoque (single body) structure. JPA believes that the separated or pallet-mounted metal structures of many of today’s business class seats do not really work together to provide strength; rather they act independently, with multiple load paths running down to the floor. The studio has a strong belief that this is not the most efficient way of doing things. Instead the monocoque concept – which JPA has patented and Jamco is manufacturing – is based around a core chassis, which is made of carbon fiber reinforced plastic (CFRP) in SIA’s case, although it could be made of other materials. Put simply, the pleasingly curvy aesthetic of the seat is not a decorative shell: it is the structure itself. Visual appeal aside, the benefit, according to Tighe, is that the structure is far more rigid overall than many seats on the market today, which benefits safety and makes the seat feel sturdy, secure and high quality. 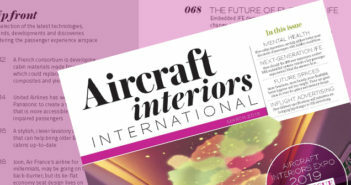 Even though SIA has a long-running relationship with JPA Design for its business class cabins, and with Jamco for the seat manufacturing, both had to go up against rivals and pitch the airline for the new A380 project. Following JPA’s successful proposal, a competitive tender went out to seating suppliers, with all the major suppliers considered and interviewed, and site visits conducted. 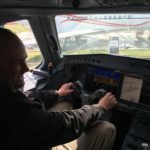 “It was a very thorough procedure, because ultimately the airline and JPA needed to be confident that the manufacturer could actually realize the monocoque technology,” states Tighe. The one-piece monocoque chassis is a strong, slim and sculpted form, which enables the internal structures to be moved further away from the passenger, creating extra foot space, as well as a lot of free space underneath the seat. Indeed with a slim and compact seat mechanism in place, the space underneath becomes sufficiently large for carry-on luggage, bedding, or simply lovely, lightweight air. With space under the seat for a carry-on bag, central overhead stowage bins are not required in this upper-level cabin. This is not a new development, as SIA did not have central bins in its previous business class, located on the lower level. As passengers are bringing more and more cabin baggage on board, though, it was proving a challenge to accommodate it in just the outer bins of the previous-generation cabins. Of course the airline could start a strict baggage policy, but that is difficult to enforce at business class fare levels, especially for an airline promising a premium experience. However, that space opened up by the monocoque seats enables the airline to keep resisting center bins in the face of growing baggage levels, and to keep enjoying the aesthetic and weight benefits of that free space overhead. “I think if we hadn’t created monocoque, there was a real possibility that just having outboard bins alone wouldn’t have been enough today. That was a very real risk,” says Tighe. The monocoque design boasts real structural engineering innovation, and a few design tricks have also enhanced its comfort. The previous A380 seats had a contoured back, which was great for seated comfort, with no compromise needed for sleeping comfort as it featured a flip-over bed surface. However, the new design deploys directly from TTL into a bed, so that shared surface has to provide comfort in both modes. Thus the bolsters on the back seat cushion ‘hug’ the passenger when sitting upright, expanding as the seat moves into a ‘sun deck’ lounging position, and finally going flat to create a comfortable 78in (2m) bed. JPA considered many cabin LOPAs for the SIA project, including some that are “revolutionary, never been seen before”, as Tighe recalls. The team then built mock-ups and did in-depth analysis of the benefits these layouts would bring to the passengers. Ultimately, however, it was decided that for this particular project the current forward-facing, 1-2-1 in-line seating layout still works very well, and maintains brand and experience DNA. Some design tweaks have made the new seat a little more space-efficient though, raising seat count from 66 to 78. “If you’re going to move away from a layout, you’ve got to have something that is head and shoulders above it. That’s quite difficult to do in the modern seating world as ideas have been well developed. Every type of layout was considered, but for this particular project there wasn’t another layout that delivered a better blend of comfort and density,” states Tighe. Keen-eyed readers may have spotted a subtle difference to the center doubles though, as they now angle slightly toward the aisle. The reason is quite compelling: it helps enables their transition into a double bed. The front three rows are angled slightly less than those behind so the beds are more parallel to each other. Airbus, Jamco and JPA collaborated in order to try to streamline the certification process for the monocoque seat. The final approved structure is slightly different from the initial proposition, but the teams expected some degree of modification. A four-year project introducing a totally new seat clearly brings challenges, but which were the biggest? Unsurprisingly, the second major challenge was certification. The third is a problem only just emerging now: how to make it better for the airline’s next product update. The solution for JPA lies in monitoring trends and technology, and visiting shows such as CES so it is aware of the newest ideas from several industries that can be applied in future projects. With the first monocoque seats now flying, what are JPA’s other plans for their patented design? “We hope to develop monocoque in a number of different ways. One of those directions will be a more pared-back, simple, lightweight business class option, which would be suited to very different airlines to SIA.